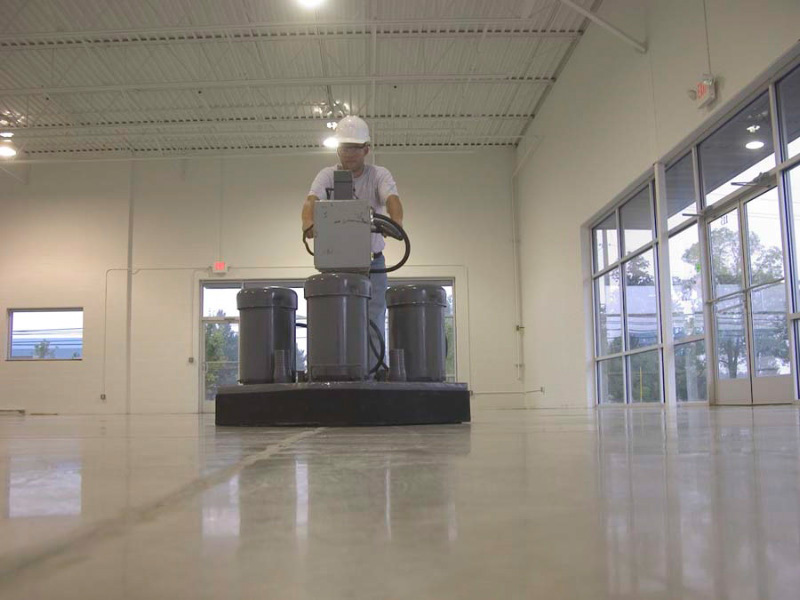 Diama-Shield is the industry leader in polished concrete maintenance, servicing more square feet of polished concrete than any other contractor. Recognizing customers have different expectations and budgets. 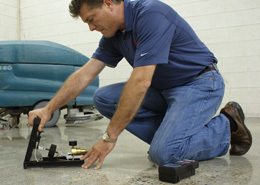 Diama-Shield offers maintenance programs tailored to meet each customer’s long term flooring needs. 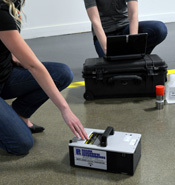 Diama-Shield's maintenance programs range from Full Service Turnkey Solutions to Periodic Scheduled Service to In-House Maintenance with Diama-Shield Support to Do-It-Yourself Programs. 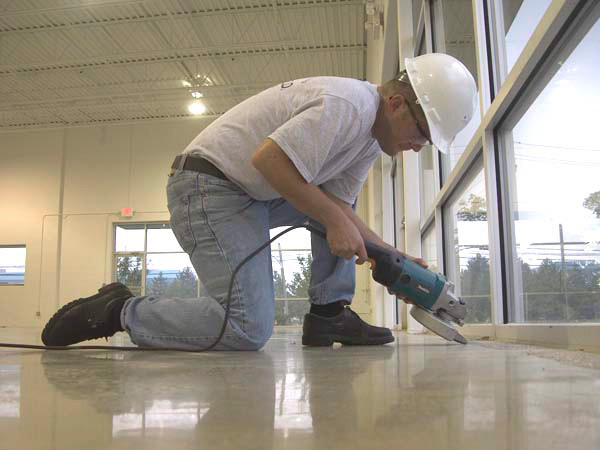 The parties enter into annual fixed price agreements in which Diama-Shield is 100% responsible to maintain floors to predetermined, quantifiable gloss level. 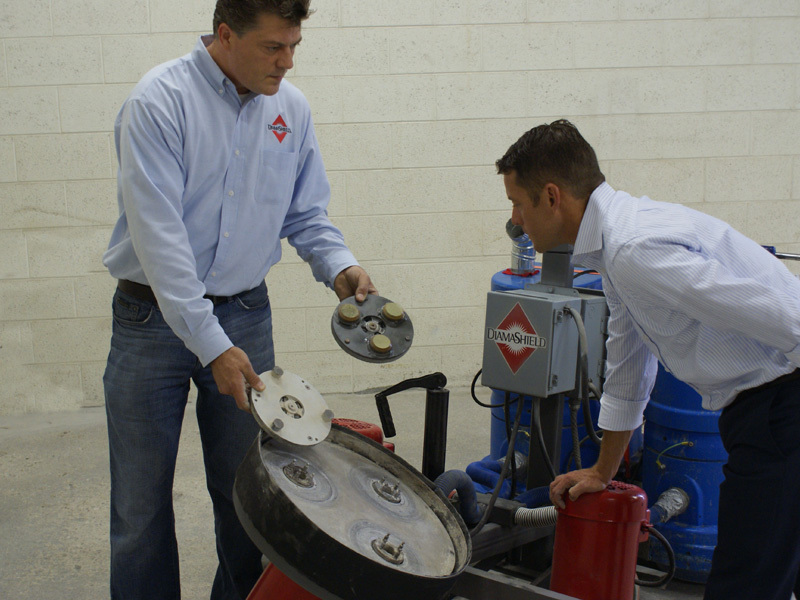 Diama-Shield and its customers work together to develop a long term polished concrete maintenance plan to meet specific needs, expectations and budget. After completing the polishing process, we will work with customers to devise a maintenance program meeting specific needs, expectations and budgetary concerns. Diamabrush programs allow customers to maintain their own polished concrete floors by using patented Diamabrushes as part of their routine cleaning procedures. Turnkey Maintenance Program. 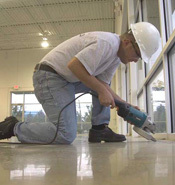 The parties enter into annual fixed price agreements in which Diama-Shield is 100% responsible to maintain floors to predetermined, quantifiable gloss level. 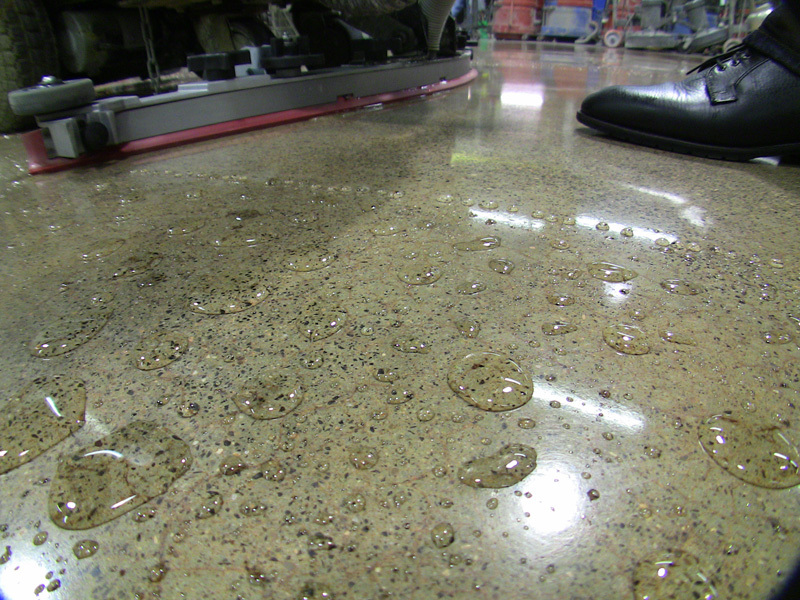 Diama-Shield bears the risk that any given floor may need more maintenance than anticipated. 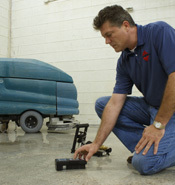 Customers are guaranteed their floors never drop below a predetermined level of acceptability at a set price. Scheduled Floor Rejuvenation Program. 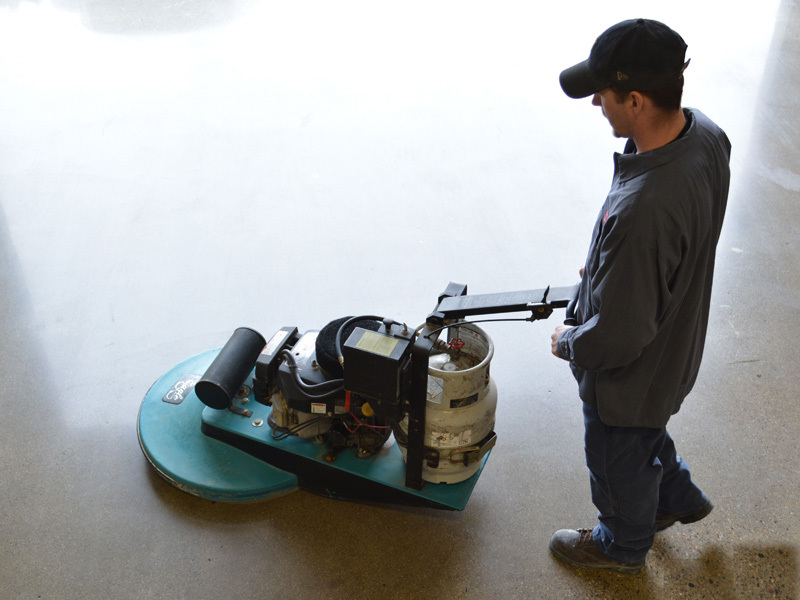 In a Scheduled Floor Rejuvenation Program, Diama-Shield and its customers work together to develop a long term polished concrete maintenance plan to meet customer's specific needs, expectations and budget. 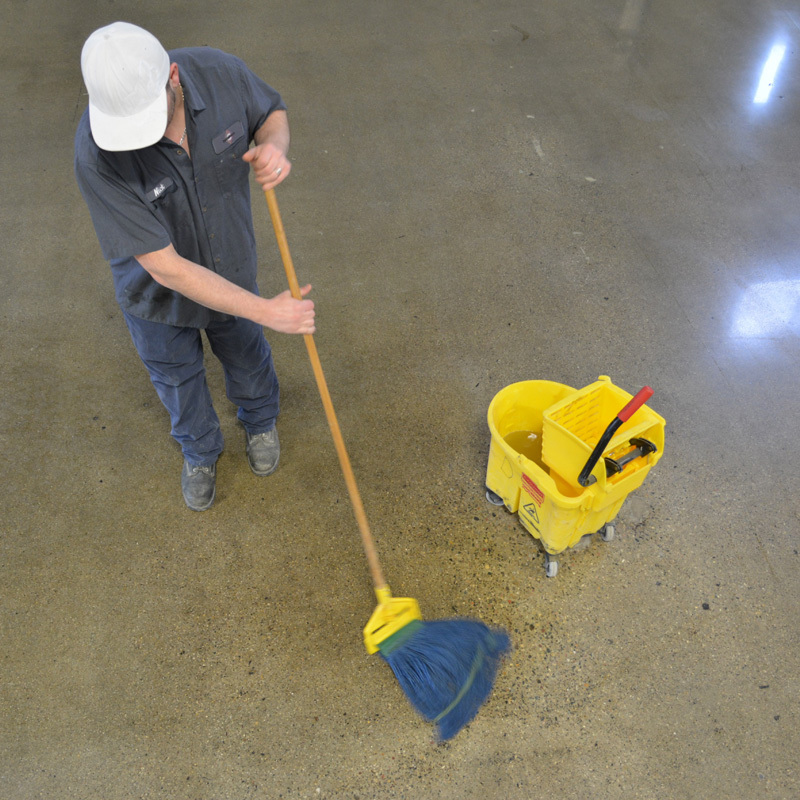 As part of the long term maintenance plan, a multi-year schedule is created whereby Diama-Shield crews perform specific floor maintenance procedures (i.e. Full Polish, Raceway, Whole Store, Raceway) at specific intervals (i.e. 8 months, 16 months and 24 months). In House with D-S Support. 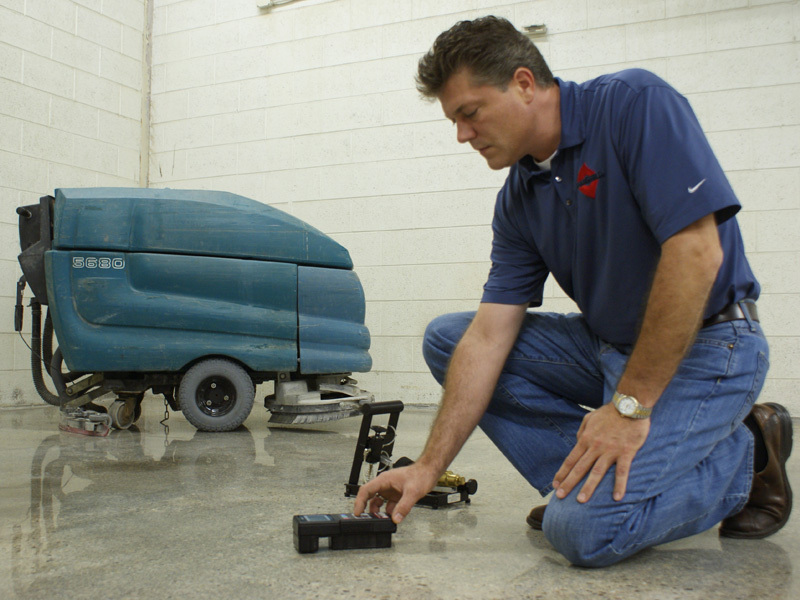 After completing the polishing process, Diama-Shield will work with individual customers to devise a maintenance program meeting specific needs, expectations and budgetary concerns which utilizes existing facilities maintenance personnel and equipment. 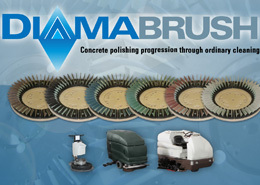 To the extent necessary, Diama-Shield will spec and provide equipment, polished concrete cleaning supplies, densifiers, stain guards as well as burnishing and polishing pads. Technical and field support is provided upon request. Periodic monitoring and evaluation options are available. 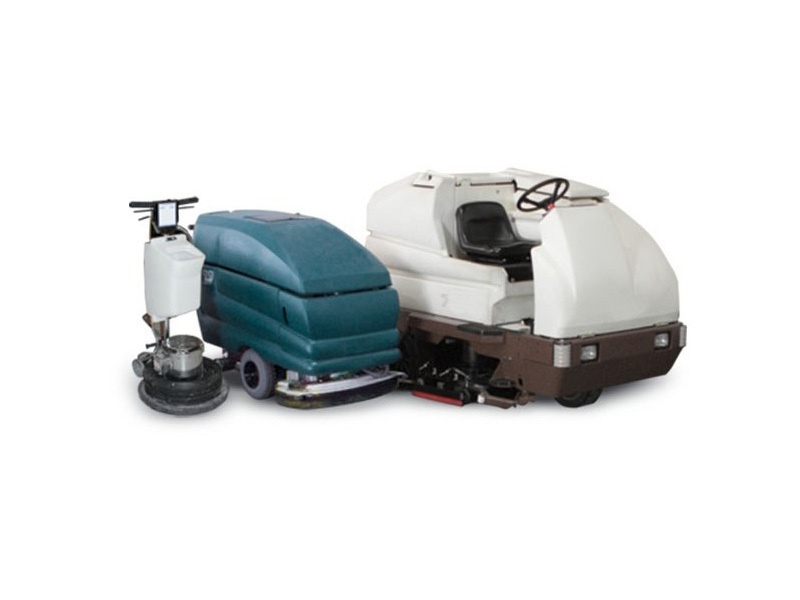 If, after years of in house maintenance, the floor needs to be re-polished, Diama-Shield will provide a crew to professionally rejuvenate the floor to a like-new condition. 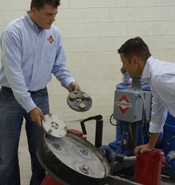 Diamabrush Based Maintenance Program. 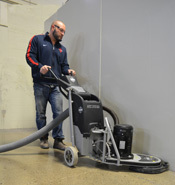 Diamabrush programs allow customers to maintain their own polished concrete floors by using patented Diamabrushes as part of their routine cleaning procedures. 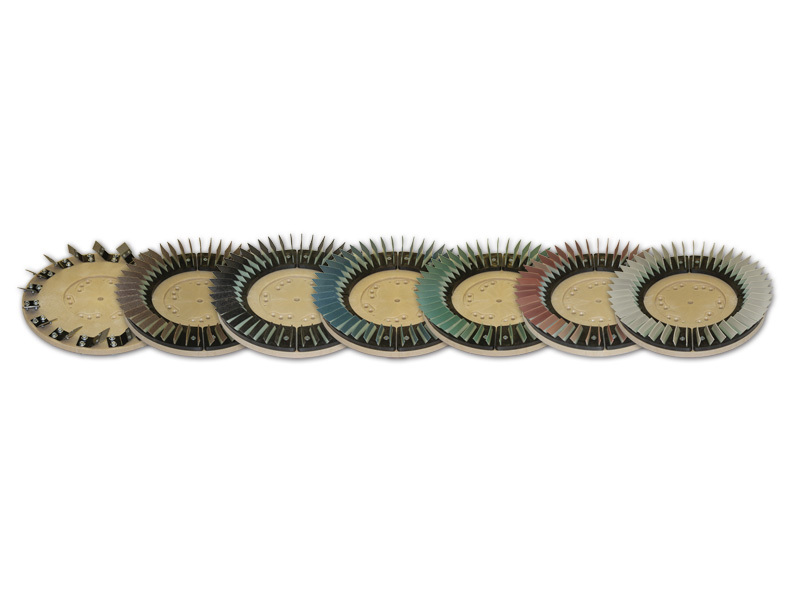 Standard filament auto-scrubber brushes are replaced with Diamabrushes. 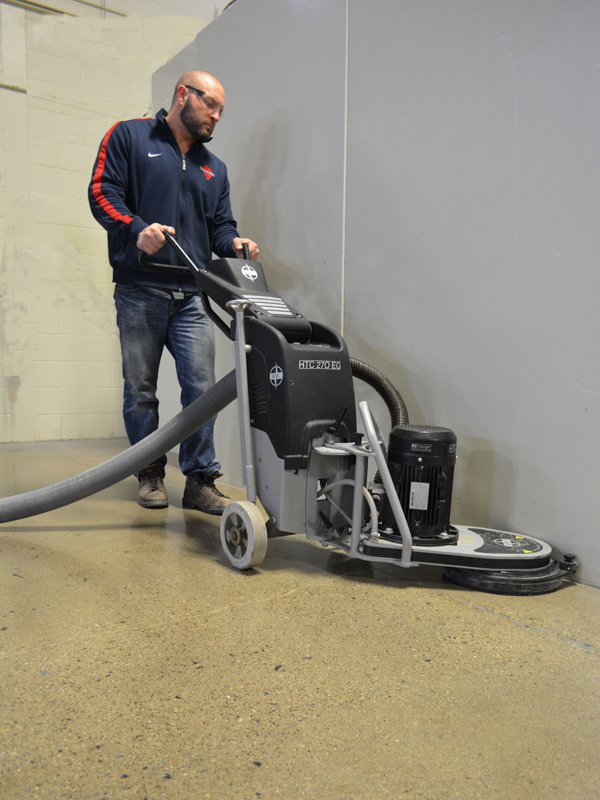 Through normal autoscrubbing, Diamabrushes continually polish and improve polished concrete so that it never loses its shine. Because floors are continually honed, their surface stays closed inhibiting stains and deterioration. 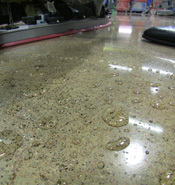 Stores are able to realize significant savings by incorporating Diamabrushes into their normal daily cleaning procedures. 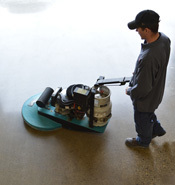 Routinely clean your polished concrete floor to maintain its shine and luster. 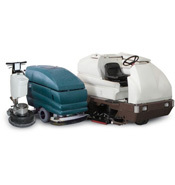 Diama-Shield recommends auto-scrubbing floor with a neutral PH cleaner. 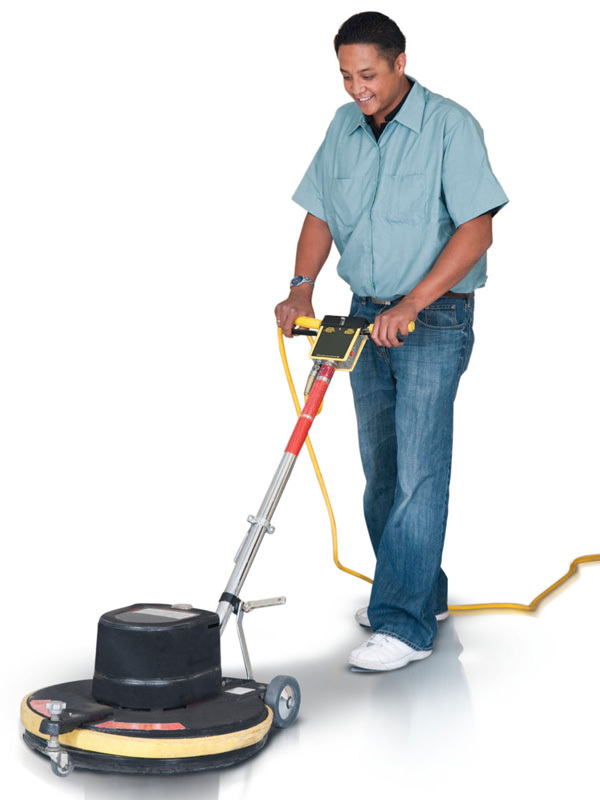 Dilute floor cleaner with clean water according to manufacturer's specifications. 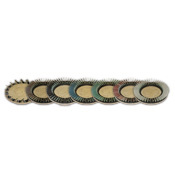 Brushes should be clean, in good condition and replaced per manufacturers recommendations. 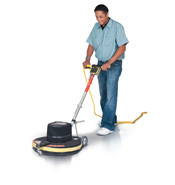 Immediately clean and/or remove all debris which could act as an abrasive. 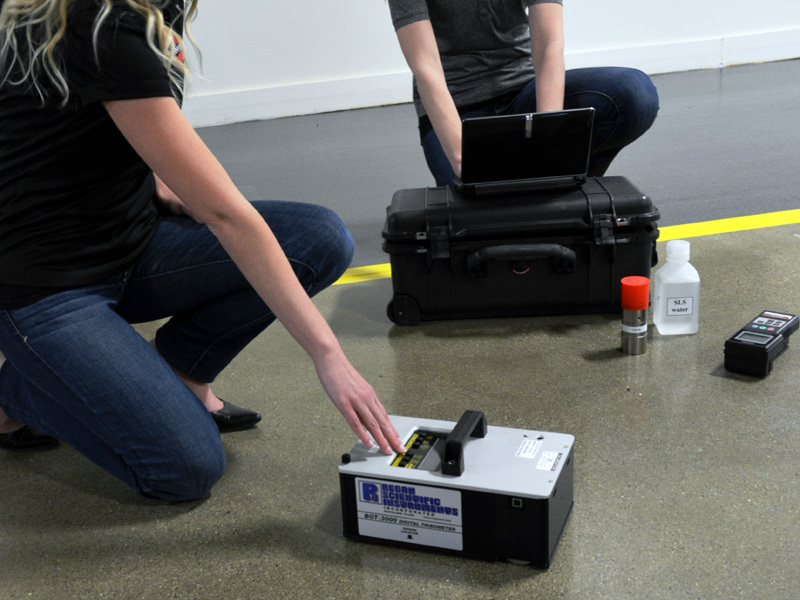 Neutralize spills of acidic materials with baking soda prior to standard cleaning. 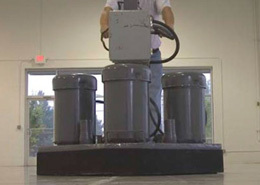 Prompt containment and clean-up of spills and accumulations. 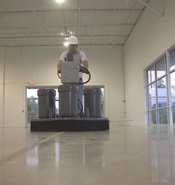 Contact Diama-Shield to schedule a Polished Concrete Floor Rejuvenation when DIAMA-SHIELD's expertise and equipment are needed to make a neglected polished concrete floor shine like new.